In 2016, Florida was the fourth fastest growing state in the nation, and it shows no signs of slowing down over the next few years. Florida, like the other states on Forbes' list, is experiencing an influx of internal migration from midwestern and northern states. As baby boomers reach retirement age they are increasingly flocking to warmer, less-expensive, senior-friendly areas of the country. Florida also has one of the strongest economies in the country, forecasted to reach $1 trillion in 2018. Though job creation is expected to decline slightly in 2018, the net growth of jobs is still positive, which has and will continue to spur an influx of job seekers. International migration is also contributing heavily to Florida's increased population, with the state gaining more immigrants per population size than any other state in 2017—most from the Caribbean or Central and South America. 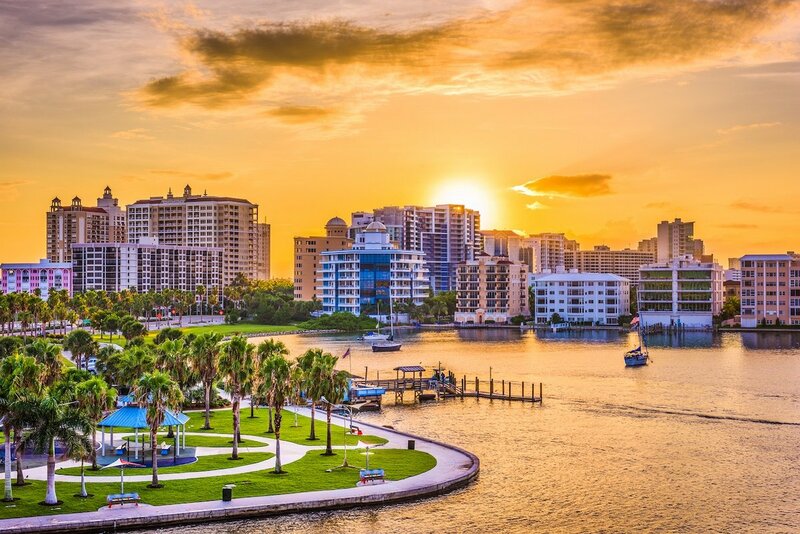 All of Florida's continued growth points to a very healthy investment market for homebuyers for the perceivable future, especially in some of the fastest growing communities in Florida. The Florida city with the most substantial population growth in 2017 was the greater Orlando area, and it is expected to increase further in the coming year. This is unsurprising when you learn that Orlando is home to the largest Puerto Rican population in the country. Many more Puerto Ricans have moved to Orlando over the years as the territory teeters on the brink of bankruptcy and more recently was devastated by Hurricane Maria. The Greater Orlando area is also home to the fastest growing and largest retirement community in the country—The Villages, FL. And the growth won't be slowing down as The Villages, FL plans another major expansion of several thousand new homes in the coming years. Add Orlando's place as one of the largest tourist destinations in the country—the "Theme Park Capital of the World"—and a very healthy economy and that makes the Greater Orlando area one of the better investment markets in Florida. The Cape Coral and Fort Myers area is a popular retirement and tourist location that is currently experiencing a boom in population. Most of the job growth in the area is in the hospitality and real estate industries, while many of other residents are retirees. While Cape Coral is growing quickly, it is mainly a residential location, and there are concerns that the city's already strained infrastructure will not be able to support the growth. The city hopes to add commercial property to the area (currently at 8%) to help offset the costs of expansion on residents. Because of the uncertain job growth and lower-paying hospitality jobs, the area remains more of a speculative investment location, relying on future plans for economic growth rather than its current job market. Unlike nearby larger cities like Miami, the Boca Raton-West Palm Beach area is a local market. The majority of people buying homes in the city are people from the Northeast and Midwest, not other countries. Located in the Palm Beach market, the area's population is expected to expand at one of the highest rates in the state. Over the next five years, almost 200,000 new residents are projected to move to the area creating a need for new residential developments. It's no surprise then that in 2017, construction jobs in Palm Beach County increased 10.1% compared to the statewide average of 7.1%. Other industries have also experienced positive job growth with over 13,000 jobs added to the economy in all sectors including manufacturing, real estate, and tech start-ups. Sarasota is one of the cultural capitals of Florida and is currently experiencing a huge boom in economic and housing growth. While much of the growth can be attributed to the same factors as the rest of Florida—retirees relocating to sunny beach cities—the city is also gaining a reputation as an up-and-coming tech location in Florida. The more established Sarasota industries include education, arts, health, tourism, and financial services. As home to Sarasota Memorial Hospital, one of the nation's largest public hospitals, several colleges, and one of the largest arts industries in Florida—employing almost 5,000 people—Sarasota has the kind of diverse economy that makes for a steady job market. Over the last few years, Sarasota has approved plans for massive expansion projects to meet growing needs. Thousands of apartments, condos and hotel rooms are being constructed to keep up with the swelling population seeking to take advantage of the job growth, cultural amenities, and natural beauty of the city. The city is also planning one of the largest publicly-owned waterfront development projects in the country, "The Bay," which Sarasota hopes will redefine and rejuvenate the downtown public waterfront area. Traditionally known as a retirement destination for older residents and a Tampa commuting town for younger residents, the Lakeland-Winter Haven area is currently experiencing its own economic growth. Job growth is trending up, and in many industries at a faster rate than the statewide averages. Three of the fastest growing industries are government, professional and business services, and trade, transportation, and utilities. Improvements in rail and road infrastructure have helped jumpstart the diversification of the economy leading to the creation of Amazon, Fed-Ex, and Walmart fulfillment centers. Lakeland-Winter Haven is also home to Legoland Florida, a popular tourist destination, which has contributed to job growth in the hospitality industry over the last several years. Understanding the reasons behind the state's and cities' growth rates helps narrow down which communities will be most profitable for investment properties. Consider growing retirement communities, job markets, and international communities when planning your purchases. And contact us to find out how we can help guide you on your path to choosing the best home to meet your needs.